Over 1 million sq. ft. of virtually column-free space now available, supported by enhanced infrastructure and tenant generator service. 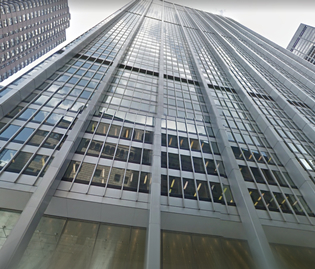 Originally One Chase Manhattan Plaza, 28 Liberty was designed by renowned architect Gordon Bunshaft, and was once the headquarters of Chase Manhattan Bank. The changes slated for the property have been approved by the Landmarks Preservaion Commission (LPC) and will allow for three glass pavilions on the site which will give focus to the entrance from the plaza while giving access to the retail corridor below ground. The property is also going to update and reclaim some of the tower's original architectural details which have faded or worked away with time - this effort is coupled by 290,000 SF. of renovated retail space which will occupy the basement of the building. Today the office tower stands as a stainless steel facade accented by black spandrel windows. The building offers direct access from the Wall Street 2 & 3 Subway line at the lobby while the 4 & 5 trains can be reached at Wall Street itself. Nearby at Broad Street the J & Z trains service the area all of which is steps away from the building property. 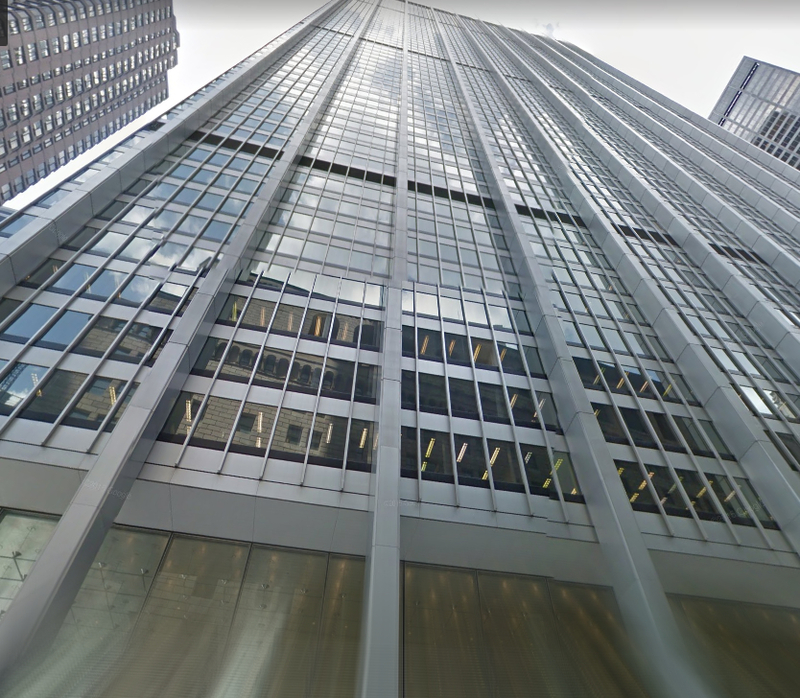 For information on available office space inside of 28 Liberty Street or nearby in the area, contact us and one of our brokers can provide you with all the intel needed including price, floor plans, photos, and insight into the area and the comparable options. Total Building Size: 820,100 SF. 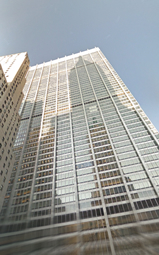 Back in 2008 the New York Landmarks Preservation Commission classified One Chase Manhattan Plaza a landmark. The building was sold afterwards a few years later for $725 million by Chase to Fosun a Chinese investment firm. 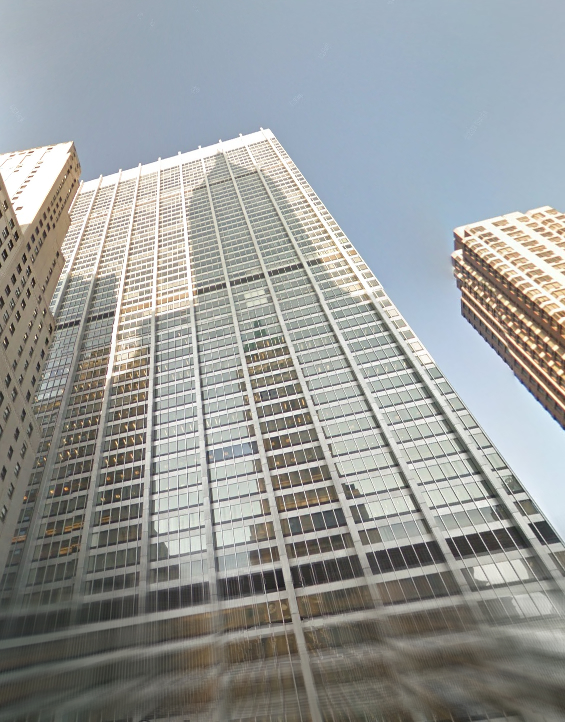 The firm renamed the property to One Chase Manhattan to 28 Liberty Street back in 2015. The building's location in the center of Lower Manhattan gives tenants the visibility of an iconic destination with the added advantage of nearby transportation options and neighborhood amenities. Aside from selling office space Fosun has also finalized details on a 50,000 square foot multiscreen cinema complex within the building - called the Alamo Draft House. In total the Captial improvements applied to the property has helped to transform the building by mainly improving original features and therefore staging it as a top commercial haven for buinsess owners. At the entrance a transparent tunnel will be installed at the intersection of Nassau and Liberty Streets and will feature a glass-clad elevator shaft through the entire 58-foot, four-level retail section (ground to lower level three). Don't overlook lower Manhattan which still stands as a historic bridge to our shared heritage while serving as a gateway to tommorrow's future in New York City.